Can Physical Therapy Improve Your Athleticism? For athletes pursuing physical therapy, most patients commonly believe that they should only seek physical therapy if they need injury treatment. 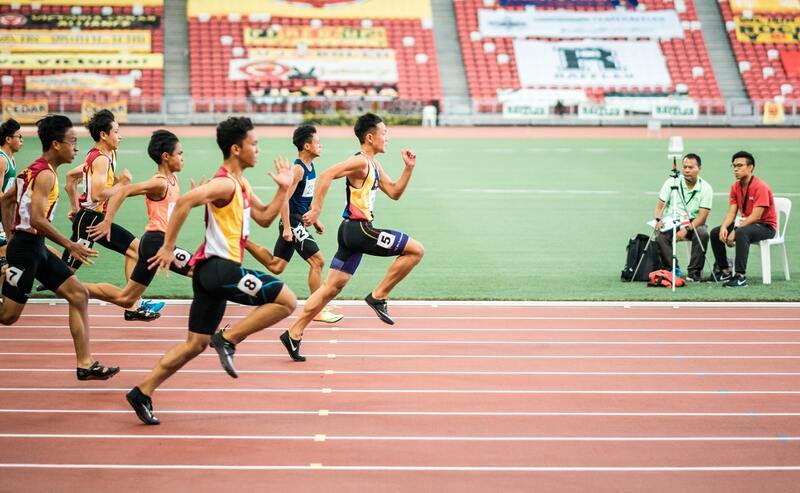 What you might be surprised to learn is that a physical therapist can also help improve an athletes’ ability on the field while also helping you prevent injuries. As certified physical therapists, our team can offer their knowledge regarding the muscle systems and skeletal system. They can also help you build strength and improve athletic performance, helping you reach the peak of your ability. Flowers Physical Therapy in Rosedale offers a wide range of personal training and athletic based programs. Choosing to see a physical therapist over at Flowers Physical Therapy in Rosedale has several added benefits. Physical therapists can utilize rehabilitation techniques and various training programs for those bouncing back from a sports-related injury. Preventing Overuse Injuries – Physical therapists are able to help you avoid common overuse injuries such as tendonitis or stress fractures all while building muscle and strength in certain areas. Personal Training – Instead of just following basic routines or generic practices physical therapists can listen to your goals and what your body needs to create custom workout plans. They also do this while taking into account your health and current bone and muscle states. This analysis may take place if your physical therapists feel you may be at risk for a strain or need to work on a certain muscle in a specific way. One on One Help – Personal training with a physical therapist is a great way to master workouts and moves. They hold you accountable and motivate you every step of the way. It’s also a great way to make sure you’re carrying out your exercises correctly as doing workouts improperly can lead to injuries. Physical therapists are body experts, they know how to assess what your body has built already and what it needs help with. There are many ways one can boost their athleticism and build strength but here are some key things everyone should be doing. These are also things that our team at Flowers Physical Therapy in Rosedale can assist with. Mobility and Flexibility – As an athlete, you cannot operate at peak performance if your joints and muscles are stiff as a board. Being flexible not only helps prevent injury but also allows your muscles to be used to the best of their ability. This relates to warming up to keep muscles loose as well. Keep Good Form – Poor form can make even the best of exercises useless. If you aren’t in the correct position you won’t be targeting the muscles directly. Poor form can actually do damage by straining muscles and moving them incorrectly. Variation is Key – Doing the same exercises over and over not only feels boring and repetitive but it also loses its effect over time. Your muscles will become conditioned to the routine and stop getting as many benefits from it. Switching it up can also help prevent overuse injuries and build new muscles in new areas. Aerobic and Anaerobic Exercise – It’s important to have a solid mix of both aerobic and anaerobic exercise. If you focus exclusively on aerobic exercises you’ll lack muscle and foundation to keep yourself sturdy and strong while exercising. Inversely, if you focus too much on anaerobic workouts, you won’t get any of the outstanding heart and lung health benefits aerobics can provide. While some of us may have abstained from physical training for a prolonged period of time, it’s never too late to start back up again. No matter your age or athletic ability, personal athleticism training can help with any aspect of your life. Whether you want to get in better physical shape or just want to improve your heart health, there is something for everyone. If you want to learn more or book an appointment contact our office for Physical Therapy in Rosedale. Whether you want to get in better physical shape or just want to improve your heart health, there is something for everyone. If you want to learn more or book an appointment contact our office for Physical Therapy in Rosedale.